Despite the Vijay starrer Thuppaki caught up in a legal wrangle, all works pertaining to the film is going on at breakneck speed. The film's music director Harris Jayaraj has announced recently that the film's music launch will happen during the mid-September and the audio will hit the stands around that time. There are six tracks in this album along with a theme track, said Harris. Thuppaki is directed by AR Murugadoss who has a string of hits under his belt till now and the film stars Vijay and Kajal Agarwal as the lead pair. It may be recalled that the film's title is sub judice with another filmmaker claiming that the title Thuppaki is so similar to his title Kalla Thuppaki. S Madan's Vendhar Films, which has distributed films like Saguni and Aravaan, will be producing a film for the first time. And it has taken up the Rajinikanth starrer Thillu Mullu! Yes, this comedy flick is all set for a remake and Vendhar Films will be producing the venture. The inaugural pooja of this film is scheduled to happen at the Image Auditorium in Chennai on August 24th at 8 am. Mirchi Shiva will play the lead role in this film and Mollywood import Isha Talwar will be his heroine. Prakash Raj, Kovai Sarala, Manobala, Dr Sreenivasan, Sathyan, Ilavarasu, Brahmanandam and others are also included in the star cast. Director Badri, who had directed films like Veerappu and Thambikku Intha Ooru, will be directing this venture. What is interesting about this project is that MS Viswanathan and Yuvan Shankar Raja will be scoring the music for this film. Director Shankar's upcoming film 'I' starring Vikram as the protagonist has been titled as 'Manoharadu' in Telugu. After considering a few suggestions, the makers have settled with this title. Recent reports have that Shankar has registered the film's title in Telugu as Manoharadu at Telugu Film Chamber of Commerce. The film's Tamil title means beauty, king, guru, astonishment, while in the Telugu title means handsome guy. 'I' has the super hit combination of Shankar and Vikram, who have worked together earlier in 'Anniyan' which was released under the title 'Aparichitudu' in Telugu. Apart from Vikram 'I' has Amy Jackson, comedian Santhanam, Malayalam star Suresh Gopi, and Ramkumar (Sivaji Ganesan's eldest son) in key roles. The film has outstanding technical crew onboard. Oscar and Grammy award winner AR Rahman will compose the tunes, while veteran PC Sreeram will handle the lens work. As usual, a few Hollywood technicians are working on this project for the visual effects. 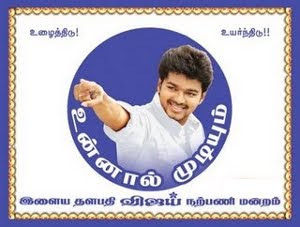 The film is touted to be a romantic thriller and is being produced by Aascar Ravichandran under Aascar Films Productions pvt ltd.
People might consider actor Vijay to be a shy guy, who magically transforms into a livewire in front of the camera. However, his colleagues feel otherwise. Vidyut Jamwal, who impressed everyone with his performance in Billa 2, is also playing the bad guy once again in the Vijay-starrer Thuppaki. He says, "Honestly, Vijay is the most chilled-out person I have met. We have had long conversations about scenes and shots." Talking more about his role in Thuppaki, Vidyut says, "I love shooting action sequences and this movie too, will have intense action scenes. It was an absolute pleasure to work with people like Vijay and director A.R. Murugadoss." 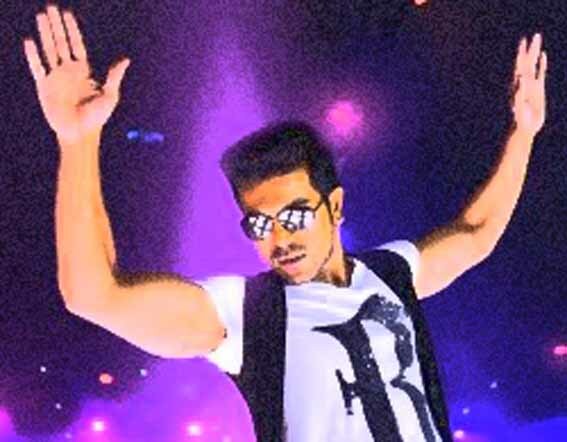 The first look of Ram Charan Teja's forthcoming film 'Nayak' has been launched by its makers. The film is a commercial entertainer being directed by VV Vinayak with Kajal Agarwal and Amala Paul as the female leads. The film has Ram Charan playing dual roles. The crew has completed filming two schedules already and the third schedule will commence in Greece on the 20th of August, 2012. SS Thaman is scoring the film's music. Brahmanandam, Jaya Prakash Reddy, M. S. Narayana, Ashish Vidyarthi, Rahul Dev, Raghu Babu, Pradeep Rawat, 'Sathyam' Rajesh and Sudha form the support cast. Cinematography is handled Chota K Naidu, while Akula Shiva has penned the story and screenplay. D.V.V. Danayya is producing the film under Universal Media banner and will be released on the day of Sankranthi in 2013. 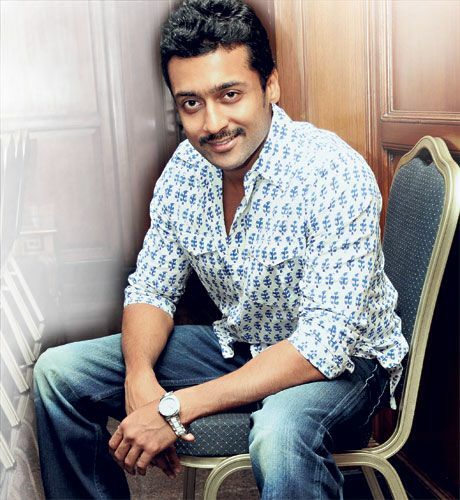 Suriya in a recent interview talked about Maattrraan and also revealed his success formula for picking winning scripts. About Maattrraan, the actor said that a lot of computer graphics were used and a lot of test shoots had to be done. He and KV Anand almost always opted for the difficult shots as they wanted to really impress the audience. The film is almost complete and there will be no need for editing or post production. The actor has the rare disntinction of being the darling of the critics as well as fans. When quizzed about this, Suriya revealed that he merely picks scripts that incorporate offbeat subjects with high entertainment value. He added that he has been lucky to get scripts like that.